This book tickled me right from the get go. Who wouldn’t love a story that starts like this: little girl, waiting for her favourite Uncle to visit, she loves visits from this uncle because he always brings her a present. Imagine her surprise when he turns up with a wolf! When Lucie exclaims that this 'dog' is in fact a wolf, the adults tell her she's just being silly, 'as if I would give you a wolf for a pet' says her Uncle, 'it's one of those dogs that looks like a wolf' says Dad, 'it's a German Shepherd, that's what it is' says Mum. She can’t quite believe that everyone is adamant that this creature on the doorstep is just a dog, when it is quite clearly...a wolf. And so the story begins of how Lucie, ended up with a wolf as a pet. It turns out that there is more to this wolf than meets the eye, because this wolf can talk, to Lucie at least. So while at first hesitant about having a pet wolf, when Lucie starts to talk to Wolfie (whose real name is Fang-That-Bites-Sharp-In-The Forest), she realises just how lucky she is. Lucie has recently moved to a new school, and she has yet to make any friends, so Wolfie is a welcome companion. Lucie may not have any friends, but she has made an enemy of the horrible boy next door, Marcus. Lucie has never done anything to Marcus, he’s just one of those horrible boys that isn’t very nice to anyone. Now that Lucie knows that her dog is in fact a wolf, she goes about assuring everyone that he is a dog, of course he is, who would have a wolf in park, or on a bus, or at school? With Wolfie by her side Lucie even finds a friend in Adam, a boy at school who just loves Wolfie. Marcus already has his suspicions that Lucie’s dog, is not a dog, so he schemes to blow her cover, in the hope that her new pet will be taken away from her. Marcus’s plan backfires, and instead Wolfie, after a feat of bravery, becomes a hero. 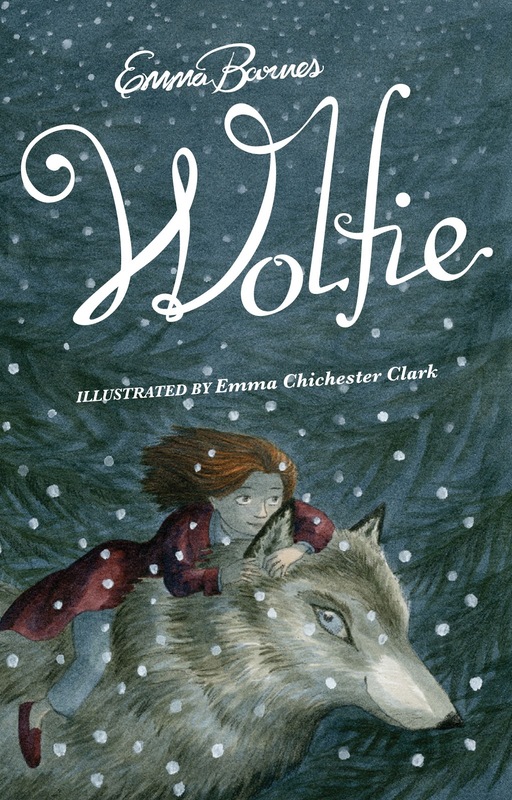 The downside of all the attention is that more and more people start to look at Wolfie properly, and begin to see what’ was obvious to Lucie from the beginning…this animal is a wolf! Lucie knew that Wolfiie was magic, how else could he get in and out of the house through locked doors, but one night she shows Lucie the true extent of her magic, and takes her on a journey to hopefully find a way to keep Wolfie with Lucie. This book is funny, intelligent and magical, a real winner. It’s not a difficult read, but there are some quite profound observations made throughout the story. One of those being that people, in general, don’t really pay much attention to what’s going on around them, they see what they want to see and not what’s actually there.